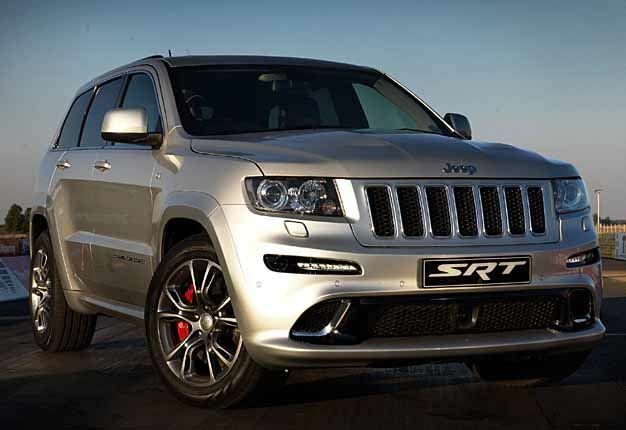 SPECIAL WHEELS: 20" forged alloy rims and Pirelli rubber on the 2012 Grand Cherokee SRT8. 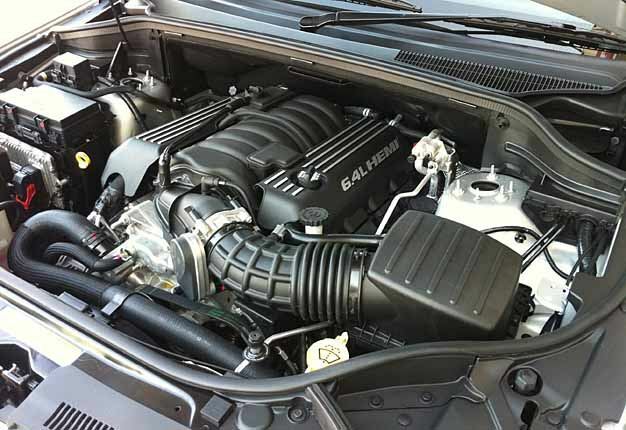 HEAVY-BREATHER ENGINE: So, large air intakes and cooling ducts on the bonnet. 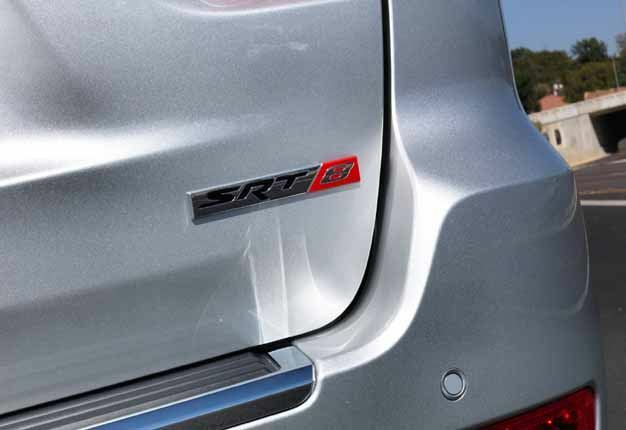 BADGE SAYS IT ALL: A 6.4-litre V8 that can outrun a Corvette. 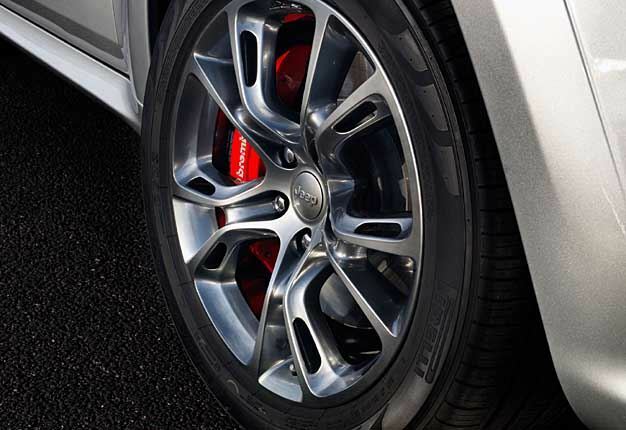 RED CALLIPERS: The SRT8's front brakes sport six four-pot callipers. 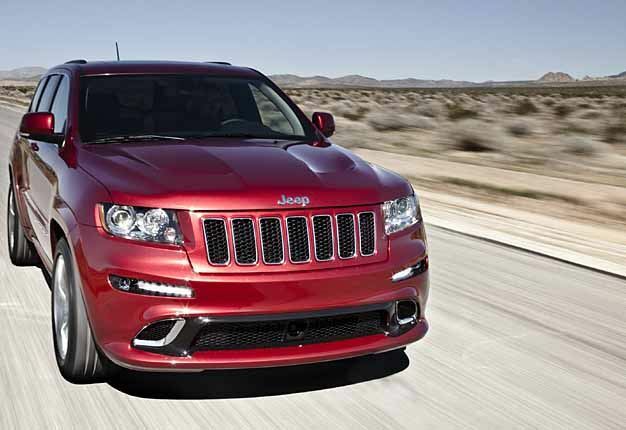 MONSTER TRUCK: It'll take a certain outrageous type of person to buy thse cars. 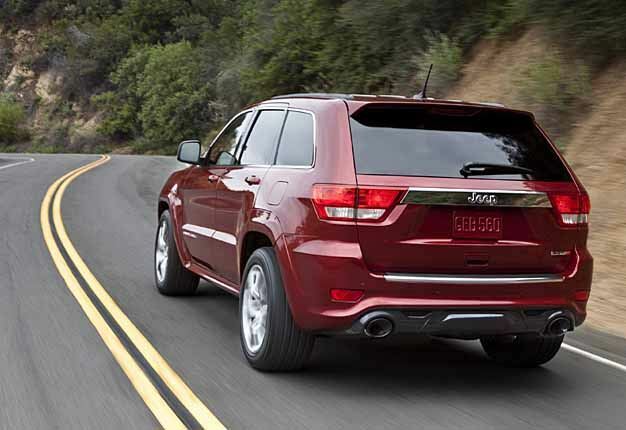 TWIN PIPES: ...but spread apart to avoid gassing a trailer, and there's an aerofoil over the rear window of the SRT8. 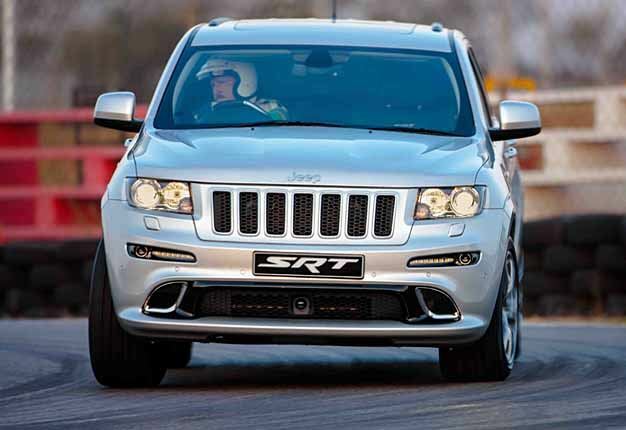 BEAST OF THE FIELDS: Of course you can just drive the SRT8 like a normal person on a Sunday afternoon. 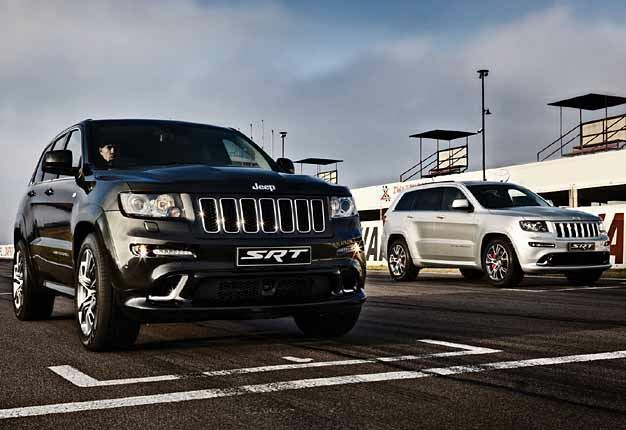 POWER PACKAGE: The SRT8.s V8 HEMI engine pumps out 344kW at 6250rpm and 624Nm at 4100. 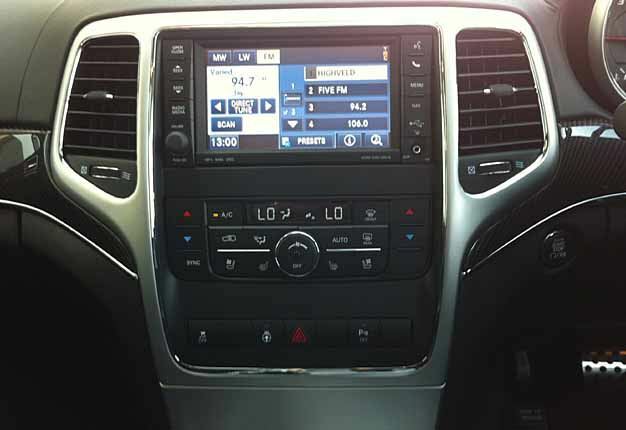 COLOUR TUNING: ...for the audio system, satnav and a number of other functiions. 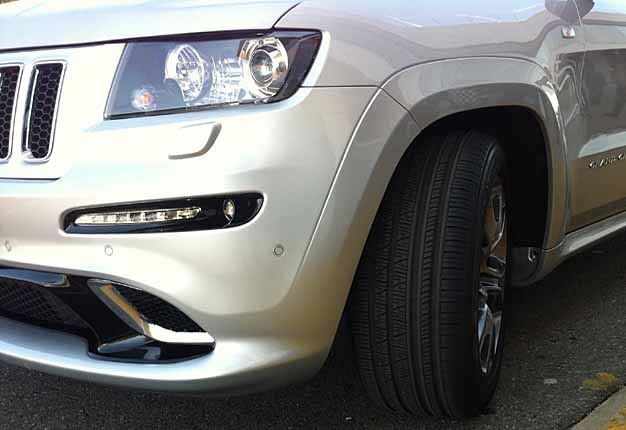 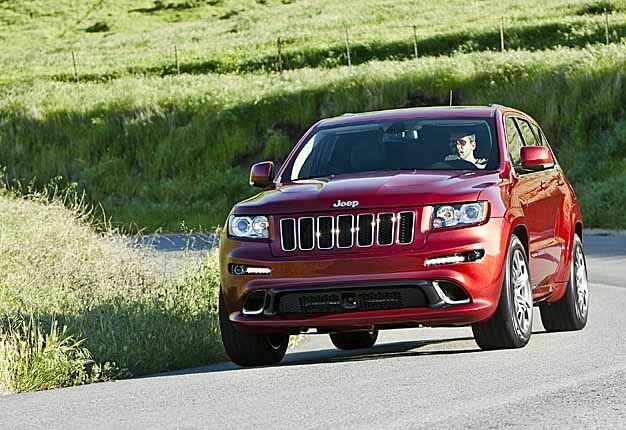 DAYTIME LIGHTS: The Jeep has joined the diode running lights fad, the big hole below sends cooling air to the brakes. 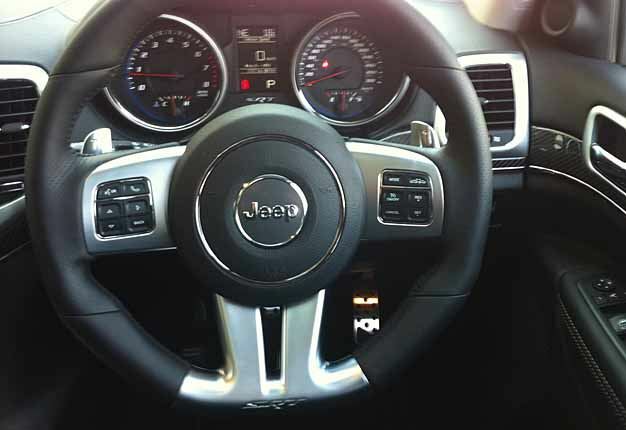 POWER WHEEL: Electric adjustment is standard on the multi-function steering.. 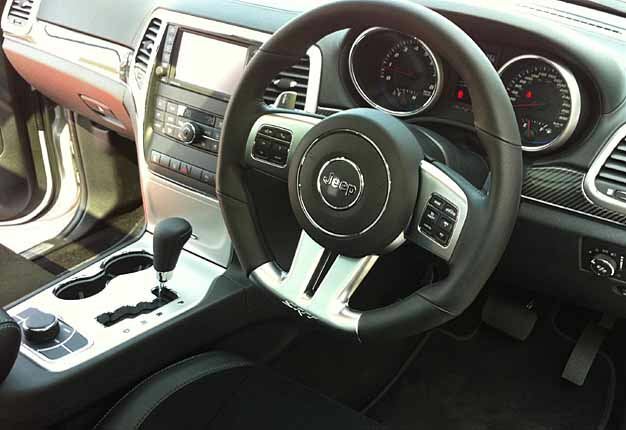 NOTHING FANCY: The auto gear-shifter is nothing unusual but the rotary switch next to it has five functions.